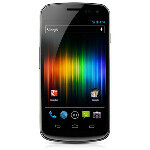 For those of you out there who have the Samsung Galaxy Nexus, but aren't on Verizon, we have a trick for you that will show you what variant of the GSM Galaxy Nexus you have with a simple app from the Market. No matter what version you have, you'll get the OTA updates directly from Google, but some will have region/carrier specific tweaks. Just grab the GN Official Update Checker app from the Android Market, which will let you know what you're dealing with. Verizon Galaxy Nexus users will all see that your device is labeled as "mysid" and that your updates are not coming direct from Google, because your device needs the Verizon specific tweaks, which need to be tested by Verizon before being released. Those with GSM variants will either see the product name is "yakju", with updates direct from Google, or a variant "yakju**". The most common variant, especially for users in the US who imported a GSM Galaxy Nexus is "yakjuxw", which is a Latin American version. This is actually something that happened with the Nexus S as well. Nothing special about the different variants, and all get the updates in the same rollout from Google, but it's interesting nonetheless. Cool, thanks. Did a major edit to the article. For my Verizon GNexus it says "UPDATED by Google, but needs final approval from Verizon." I have a question for the tech affluent cell phone user. Suppose I have an unlocked gsm phone and say I'm on a carrier such as Simple mobile or I have a cdma phone on Boost mobile or any other no contract cell service provider, will I still get official releases to update software? Say I have the sg2 and ics gets released for the sg2 I know sprint, at&t would provide ota but would I get the upgrade in software automatically from a no contract cell service provider or would I have to upgrade it manually myself? Thanks in advance. you would have to update it yourself with some help from Xda. I might be wrong, but thats what i do since i do not even live in the states and my carriers do not sell Top of the Line android Phones.